acib is an international competence centre, developing new, environmentally friendly, economically and technically advanced processes for the biotechnological, pharmaceutical and chemical industry – all of them modelled on nature. acib is bridging the gap between academic research and producing industry. The big advantage for acib partner organisations is the possibility to translate scientific results into concrete processes and product by using scientific know-how, academic infrastructure or industrial networks. Our platform offers tailor-made solutions for our stakeholders from Academia, Industry and Investors. In CODOBIO acib has the role of coordinator and is work package leader of scientific work package 1 (Process control and modelling of continuous downstream processes) as well as of the management work package. acib employs two ESRs at its site in Vienna and will be involved in training activities. The TU Delft is the largest and oldest technical university in the Netherlands, with 4.500 employees and 14.000 students. The Department of Biotechnology, with 200 employees, is one of the leading European laboratories on industrial biotechnology. The Department concentrates on the multidisciplinary fields of Biocatalysis, Metabolic Engineering & Fermentation Technology, Environmental Biotechnology and Bioprocess Technology as well as the exciting developments in genomics and metabolomics. The TUD will be involved in development, application and training in “High Throughput Screening for integrated manufacturing design/operation”. This includes the development of chip devices for isotherm determination and in/at-line QCA miniaturized microfluidic chip based sensors for optimal operation of continuous bio manufacturing processes. Training will be given to ESRs and exposure to relevant technologies & lab facilities will be provided. Novasep Process, is a leading company in the field of continuous chromatography. They have been the industrial pioneers for implementation of the continuous chromatography method “simulated moving bed” in conventional pharmaceutical industry and food industry. They manufacture laboratory scale, pilot scale and full scale chromatography skids. NovaSep Process delivers services for the Life Science industries with specialized & differentiating technologies. These technologies include purification processes that are developed first in silico and then at different scales, up to production. NovaSep already develops and delivers processes in Biopharmaceuticals. Novasep Process employs one ESR, will contribute its knowledge in continuous large scale chromatography and process control, and will contribute to the delivery on network-wide trainings related to innovation management and unit operations. Jacobs University is a private, independent university that offers the highest research and academic standards. Young people from every continent are trained as world citizens with leadership qualities at Jacobs University in Bremen. Students, professors, and research associates work together to acquire and convey knowledge. Our central principles are: Excellence in the selection of students and professors, in the structuring of our syllabuses and the associated performance requirements for students and faculty, An international student body and faculty; internationally recognized study credits and qualifications; lessons in English, Trans-disciplinary teaching and research, which means cross-departmental collaboration, interactive, networked teaching and learning; teaching, research, and living all unified on campus and Independent organization and management, high flexibility. Jacobs University employs one ESR in the frame of CODOBIO and is leader of the work package “Network-wide training acitivities” in addition to involvement in training activities. The Lund University is ranked as one of the top 100 in the world. We tackle complex problems and global challenges and work to ensure that knowledge and innovations benefit society. We provide education and research in engineering, science, law, social sciences, economics and management, medicine, humanities, theology, fine art, music and drama. Our 41,000 students and 7,500 employees are based at our campuses in Lund, Malmö and Helsingborg. The University has a turnover of around SEK 7 500 million (EUR 808 million), of which two thirds is in research and one third in education. We are an international university with global recruitment. We cooperate with 600 partner universities in over 70 countries and are the only Swedish university to be a member of the strong international networks LERU (the League of European Research Universities) and Universitas 21. The research group on Advanced Process Engineering at the Department of Chemical Engineering does research in the area of industrial protein separation, mainly in the area of model-based engineering, such as simulation and optimization, and in the area of continuous processes, such as integration, intensification and control. In CODOBIO Lund University is employer of one ESR and will also be involved in training activities. evon is a renowned company in the field of process control and has recently also extend its activities towards biotechnology. evon, located in the southeast of Austria in Gleisdorf close to Graz, was founded in 2009 and currently employs over 45 highly qualified software developers and application engineers. evon specializes in software products and services in the field of automation, control applications and process IT. The product PAT Control was developed specifically for applications in the pharmaceutical as well as the food and biotech industries. Its unique features are tailor-made for challenges in the field of automation, batch oriented production, laboratory data handling, as well as all issues regarding data integrity (CFR 21 Part 11). The flexible, modern and user-focused concept relieves the demanding work in laboratories, pilot installation or in production facilities. Modern visualization, 3D representations of complex measurements (e.g. NIR measurement traces), zoom functions and rotation of the plots offer the possibility to have all online information available in real-time. Changing operating concepts require flexibility: Work that is performed on PCs today will be possible on tablets or other “smart devices”. PAT Control offers the necessary functions – from multi-monitor workstations to multi-touch on a tablet. The unique mathematical functions enable the framework to contribute to modern, model based control concepts such as model predictive control MPC. evon will contribute its knowledge on process control, the industrial requirements for an overall control strategy and how to integrate data handling with control. It will contribute to the course delivery on Data management and is employer of one ESR. Instituto Superior Técnico (IST) was founded in 1911 and is the largest and one of the most reputed schools of engineering in Portugal with a long tradition in education and excellence in research, innovation and dissemination activities. IST mission reflects the 3 activities defining the XXI Century University: Advanced training, R&D and a close link to society. IST is especially committed to generate knowledge and to deliver highly qualified professionals in Science, Engineering and Technology to the public and private sectors, strengthening the National and European development effort. The IST team has a vast experience in the purification of biomolecules, as proved by more than 100 publications in high level scientific journals, including 5 patents issued in the bio separation field. During last years particular focus has been given to liquid-liquid extraction using aqueous two-phase systems and chromatographic separations from large to miniaturized scale. In the frame of CODOBIO IST is WP leader of the scientific work package “Miniaturization, Scale-up and scale-down of continuous downstream processes” and employs two ESRs. The research group in Politecnico di Milano is focused on the mechanistic modelling of the continuous unit operations in the downstream processing of cell-culture processes. In addition, we have an extensive experience in model predictive process control, data reconciliation with online sensors and global process optimization. Politecnico di Milano is leader of the scientific work package “Process Design and Development of Integrated continuous downstream processes” and employer of two ESRs. UCL is one of the top multidisciplinary universities globally. UCL’s Department of Biochemical Engineering is a world leader in bioprocess research for the healthcare sector and the largest centre in the UK. The department has one of the most modern biochemical engineering research facilities in the world. Its research underpins the bioprocessing of advanced medicines with expertise in micro biochemical engineering, intelligent design of experiments, whole bioprocess modelling, chemometrics and business decisional tools applied to whole bioprocesses from fermentation to DSP and formulation. In CODOBIO UCL is leader of the dissemination work package and is employer of two ESRs. 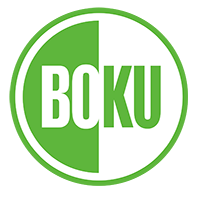 BOKU has trained several thousands of scientists in the area of Biotechnology since the establishment of the respective curriculum in 1945. Currently approximately 800 students are enrolled in the BSc and MSc programs on this topic and approximately 100 students are working on their PhD. BOKU training consists of a balanced combination of theory and lab work and aims at complementary expertise in chemistry, biology and bioprocessing for its students. a global biopharmaceutical company, UCB is engaged in researching, developing, manufacturing, selling and distributing medicinal products to meet the needs of the patients, the healthcare professionals and society as a whole. UCB is a global biopharmaceutical company focusing on creating value for people living with severe neurology and immunology conditions. Merck Serono SA focuses on areas of high unmet medical needs and is a leader in providing differentiated medicines to help improve patient outcomes in key areas such as cancer, multiple sclerosis, infertility, endocrine and metabolic disorders and cardio vascular diseases. Merck is a leading science and technology company in healthcare, life science and performance materials. Around 50,000 employees work to further develop technologies that improve and enhance life – from biopharmaceutical therapies to treat cancer or multiple sclerosis, cutting-edge systems for scientific research and production, to liquid crystals for smartphones and LCD televisions. Founded in 1668, Merck is the world’s oldest pharmaceutical and chemical company. The founding family remains the majority owner of the publicly listed corporate group. Merck, Darmstadt, Germany holds the global rights to the Merck name and brand. The only exceptions are the United States and Canada, where the company operates as EMD Serono, MilliporeSigma and EMD Performance Materials. The Biopharma business of Merck, is pursuing activities in selected indications for highly specialized therapeutic areas mainly treated by specialists. The portfolio includes leading biopharmaceutical drugs that benefit patients who suffer from colorectal cancer, head and neck tumors or multiple sclerosis. In addition, the business offers therapies to treat infertility, growth disorders, cardiovascular diseases, diabetes and thyroid diseases. Research and development are focused on the fields of oncology, immuno-oncology, neurodegenerative diseases, fertility, endocrinology and biosimilars. Merck Serono SA will contribute with the provision of data for PAT analysis and parameters for scale-up. Synthon Biopharmaceuticals BV is a division of Synthon, a global Dutch pharmaceutical company developing and manufacturing human generic medicines, and engaged in the research and development of biotechnology-based medicines. Synthon’s head office is in Nijmegen, the Netherlands. The company employs almost 1.400 staff of whom over 380 work in Nijmegen. 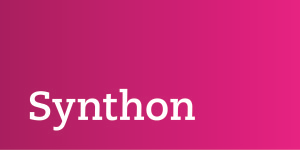 Synthon products are licensed out to third parties and are marketed worldwide. Synthon Biopharmaceuticals BV focuses on the development of bio therapeutic proteins, this highly innovative activity will cover a wide spectrum of technologies: from molecular biology, cell culture and fermentation to protein purification, analytics and formulation. We have a professional and international team and our laboratories are equipped with state-of-the-art technologies. To speed up process development of biotherapeutic proteins continuous processing plays a key role in lowering the overall costs, therefore we have the ability to implement new technologies being developed in this European Continuous Processing program. Our current manufacturing facilities are based on single use technology, however, to integrate the different unit operations and improve processing with good analytical control the continuous approach would be our aim to reach that in coming years. Our key competences: Therapeutic areas: Oncology and Autoimmune diseases; Developing monoclonal antibodies for human medicinal use and Developing Antibody Drug Conjugates for human medicinal use. Use state of the art facilities. Synthon will contribute its knowledge in continuous downstream processing, miniaturization, regulatory aspects, product analytics and integration of upstream and downstream processing. MedImmune, the global biologics unit of AstraZeneca, is committed to developing better medicines that help people live healthier, longer and more satisfying lives. The company is focused on the areas of infection, respiratory and inflammatory disease, oncology and neuroscience, with two marketed products and a robust pipeline of promising new product candidates. MedImmune’s state-of-the-art Cambridge site serves the company’s European hub for research and development. MedImmune is committed to developing better biopharmaceutical medicines in the areas of infection, respiratory and inflammatory disease, oncology and neuroscience, with two marketed products and a robust pipeline of promising new product candidates. MedImmune will contribute its expertise in monoclonal antibody production and provide access to its state-of-the-art facilities to derive predictive models to integrate into process economics models and to verify on-line predictions of product quality. MedImmune will, in collaboration with UCL and their proposal around WP2 and WP4, host 2 seconded ESRs for 5 to 12 months. Biotech Company, based in UK, with subsidiaries, research labs and manufacturing facilities in over 70 countries worldwide engaging about 20 000 employees. Focused on the development and marketing of therapeutic entities (small and large molecules) for the treatment of patients affected by rare diseases. Baxalta Innovations GmbH (part of Shire) is a world leading company in the field of biopharmaceutical manufacturing with a broad portfolio and a very strong drug development pipeline. It was one of the first companies who used fully continuous upstream processing for manufacturing of biopharmaceuticals and holds a production licence for 4 products, which are produced by continuous cell culture, however downstream processing is still performed in batch wise manner. Baxalta Innovations GmbH will contribute its knowledge in continuous upstream processing, the regulatory environment and product analytics and integration of upstream and downstream processing. 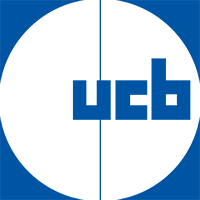 DSM is a global life science and material science company, with an annual turnover of € 8.935 million in calendar year 2015, and active in many business fields, like health, climate and energy. Providing high quality products and special solutions to the customers requires research and development in order to gain in depth understanding of the related physical, chemical and biological processes involved in the manufacturing and processing of DSM’s products. DSM is a global life science and material science company, active in many business fields, like health, climate and energy. DSM’s Food Specialties Bussiness Unit manufactures food enzymes, cultures, yeast extracts, savory flavors, hydrocolloids and other specialty ingredients for the dairy, baking, beverage and savory segments. As a world-leading company in manufacturing of industrial enzymes DSM recognizes enormous cost pressure and therefore strategically seeking opportunities for production cost reduction. At DSM, the ESRs will be exposed to a large volume production, to pilot scale operation and process intensification and to the integration of unit operations. AGES is the Austrian institution responsible for the supervision and registration of pharmaceuticals and medical products and within European Medical Agency (EMA) specialized for biosmilars. AGES will contribute the regulators’ view and will be partner in the dialog for the up-coming continuous manufacturing regulation. The company TIKO PRO d.o.o. is a consultancy company offering comprehensive solutions in obtaining EU (co)funding. We offer the whole range of services – education about funding possibilities and project management, consulting and assistance at the stage of project proposal writing and monitoring of the project implementation and project management, as well as supporting project reporting and contribution to the sustainability of the projects’ outcomes. To achieve the optimum results for our customers, we join the project teams already in the phase of planning the project idea. At the moment, there are 12 experts in EU funding schemes, project proposal writing, project management, reporting, finances and project management training working for the company TIKO PRO d.o.o. and through their expertise we guarantee our customers up-to-date project management education, high quality and flexible services regarding the acquisition of EU (co)funding. Tiko Pro will co-deliver network-wide training activities related to career enhancing skills. ETH Zurich (Swiss Federal Institute of Technology in Zurich) is a science/technology/engineering university. It is currently ranked as 5th best university in the world in engineering and technology. The group of Professor Morbidelli has extensive experience in process modelling, development and optimization for separation and purification processes. It focuses on the process integration for the production of therapeutic proteins by cell culture. DataHow AG is a start-up company, active in process integration and digitalization, especially in the field of bioproductions for therapeutic proteins. The company has developed a set of models that are integrating together high-level process knowledge and cutting-edge machine learning tools. Such models can be used to fast-design processes, for monitoring purposes and the development of soft sensors, for process control and optimization.